Craving the "real thing" We`ve got it! And it`s big and bold and beautiful! 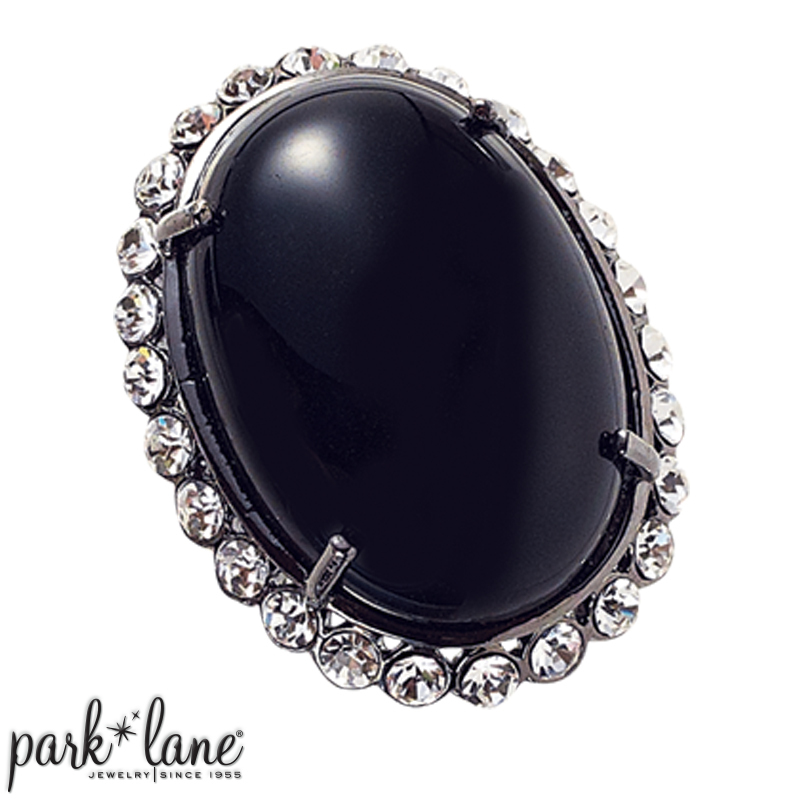 ONYX ring is a gigantic genuine onyx cabochon gemstone, framed by glittering faux diamond crystals! Point. Command. DONE! Ring is available in sizes 5 through 10. Beautifully complements all black jewelry.